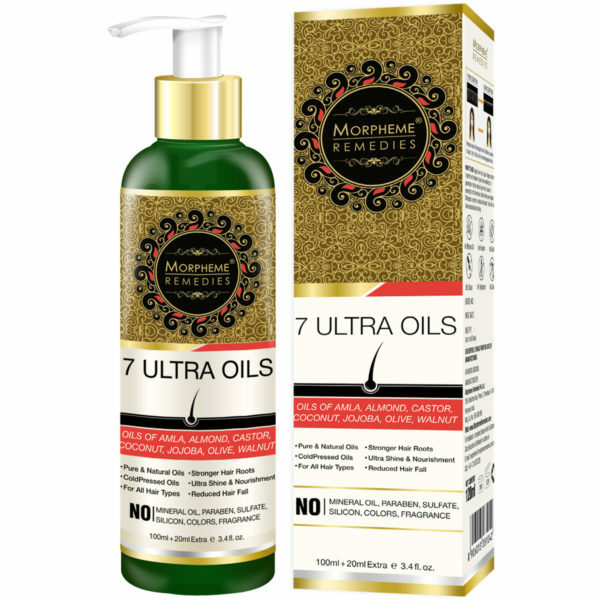 Morpheme 7 Ultra Hair Oils is a 100% natural hair oil that works to control premature hair fall. This product also helps to control many other hair related issues like thinning, dandruff and premature greying. Nourishing the hair from deep within, this oil penetrates deep into the hair follicle to provide all round repair and protection to the hair fibers. Free of parabens, sulfates and other harmful additives or chemicals, Morpheme 7 Ultra Hair Oils can be used as many times as needed to get desirable results. Premature hair fall can be a troublesome problem to deal with. Thankfully for Morpheme 7 Ultra Hair Oils – (Almond, Castor, Jojoba, Coconut, Olive, Walnut, Amla oils), this can be considered as a problem of the past. 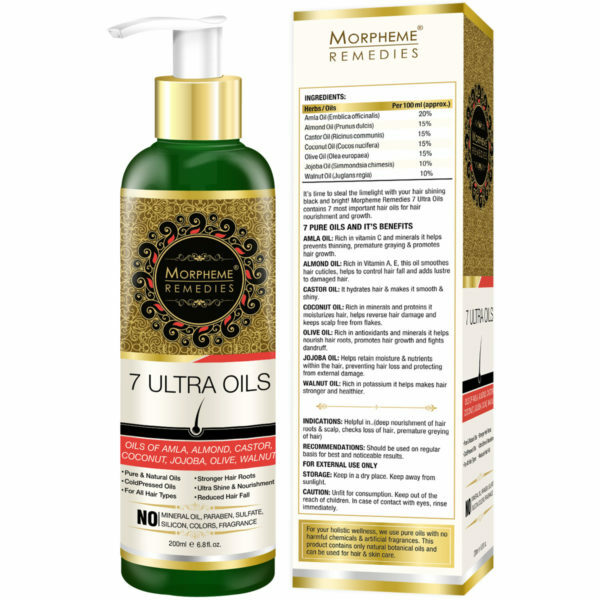 Bringing to you the natural goodness of seven herbs which provide their own benefits to the hair, Morpheme 7 Ultra Hair Oils is the perfect remedy for hair fall which is all natural and free of harmful side effects. It helps nourish dull, frizzy lifeless hair and restores its natural shine, sheen, and luster with regular use. Morpheme 7 Ultra Hair Oils provides intense nourishment to hair and strengthens it while imparting a natural shine to it that is hard to miss. The 100% naturalness ensures that it can be used safely for all types of hair and is effective in strengthening and conditioning hair irrespective of the hair type. It contains Vitamin C and other minerals which work together to help inhibit and control premature greying and thinning of hair. It also helps promote the growth of healthy, strong hair . 1. Does Morpheme 7 Ultra Hair Oils help in hair growth? Morpheme 7 Ultra Hair Oils helps promote the necessary conditions for the growth of healthy hair. It helps control premature hair fall and other issues that directly or indirectly lead to hair fall. 2. What kind of hair type is suited for Morpheme 7 Ultra Hair Oils? Morpheme 7 Ultra Hair Oils suits all hair types. It is safe for use and can be used as many times as needed. 3. 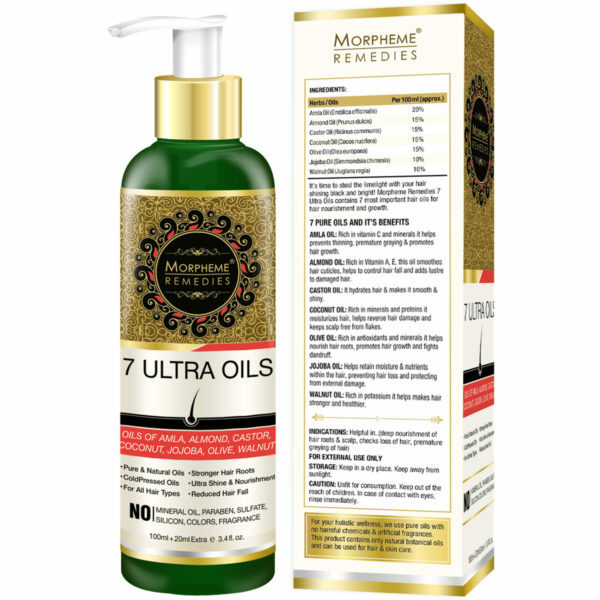 What makes Morpheme 7 Ultra Hair Oils different from other oils in the market? Nowadays, customers are becoming more conscious of using organic and natural hair and skin care products. 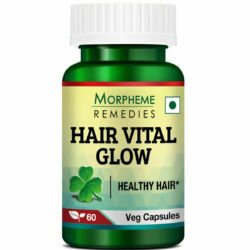 Morpheme 7 Ultra Hair Oils is a 100% natural product which aims at providing the maximum nourishing benefits to your hair without the use of any chemicals, additives or preservatives. The oils used in Morpheme 7 Ultra Hair Oils are also cold-pressed so as to ensure that their benefits remain intact when infused to form the hair oil. 4. Can children also use Morpheme 7 Ultra Hair Oils? Morpheme 7 Ultra Hair Oils is safe for children as well. However, it is recommended that you do a patch test on the skin and wait for a few days to check the skin’s sensitivity to the oil. 5. Can I use Morpheme 7 Ultra Hair Oils along with other hair oils and medicines taken for hair fall? If you have a pre-existing medical condition and are already taking medications for the same, it is considered wise to consult your doctor before using Morpheme 7 Ultra Hair Oils. 6. 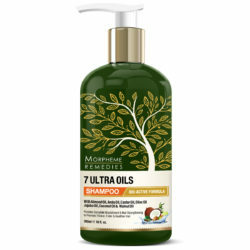 Can I use Morpheme 7 Ultra Hair Oils on damaged hair with split ends? Morpheme 7 Ultra Hair Oils is designed to assist in repairing your hair. The potent ingredients provide the necessary nourishment and moisturization to restore the hair’s health, strength, and natural texture. As such, you can use it on damaged, colored hair with split ends. 7. When can I expect positive results? Regular application of Morpheme 7 Ultra Hair Oils will yield desirable results within two weeks or so. The results will depend on the length of the hair as well as the extent of the damage caused to it. Excellent hair oil. It helped in reducing hair fall. After using this hair oil there has been significant improvement in the texture and thickness of my hair. Wonderful hair oil. It made my hair smooth, strong and silky. I found this hair oil very effective in reducing dryness of hair. It has helped in reducing split ends and has made my hair stronger. This is a superb hair oil. It is free from additives and fully natural. 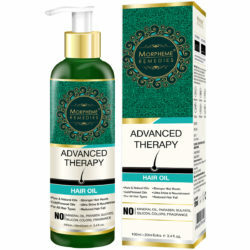 I am using it for about a month, and there has been significant reduction in hair fall. I am using this hair oil for about 3 weeks. I am so impressed with the result that I am writing this review. It has gave me relief from the excessive hair fall that was thinning my hair. This is one of the best hair oils I have used so far. It has helped in improving the texture and growth of my hair. This oil is part of my nighttime hair care routine. I am loving my hair after I started using this wonderful hair oil. Good quality hair oil. My hair is now softer and shinier. With seven of the best natural hair oils blended together, this hair oil works wonders. It helped in reducing my hair fall, promoted hair growth and gave me the beautiful hair I yearned for. It made my hair soft and helped in promoting hair growth. I should say this is one of the best hair oils. It has worked wonders for my hair. It helped in reducing hair fall and made my hair soft. 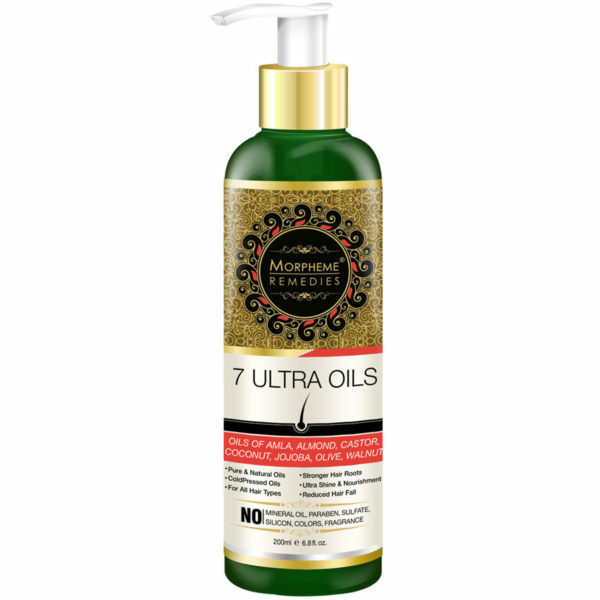 This blend of 7 natural oils is perfect for my dry hair. I am using this hair oil for over 3 months. It has helped in making my hair thicker. It worked in reducing dandruff. It helped control hair fall and reduced dryness. A wonderful hair oil. I am using it for a month. I have normal hair that needs occasional conditioning. I am using this oil for a month. 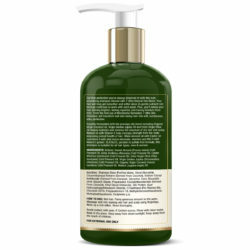 It is a wonderful natural product that had helped in enhancing the appearance of my hair. This hair oil has helped in repairing my dry and damaged hair. This hair oil has helped soften my dry frizzy hair and made them manageable. It has strengthened the hair roots and helped in manage hair breakage and fall. A nice hair oil. It helped in strengthening my hair. My hair looks better after using it. I am really happy with this hair oil. It is helping in making my hair thicker and longer. It has helped in diminishing hair fall and promoted hair growth. This is an excellent oil for reducing scalp and hair dryness. It helped reduce dandruff, made my hair soft and silky. An excellent oil for taming my frizzy hair. It has helped reduce hair fall. This hair oil has helped in reducing dryness of my hair and scalp. My hair looks soft and silky. The hair oil has made my hair soft and shiny. It has promoted hair growth. This is a very good hair oil. It helped in promoting hair growth and reduced hair fall. The appearance of my hair has improved significantly after applying this oil. The hair oil has made my hair soft. A great oil for managing dry hair. This oil helps in taming my frizzy locks. It is good for dry hair. It helped in reducing dandruff. My hair has become smooth and silky by applying this hair oil. There is less hair fall. My hair feels soft and looks darker after using this hair oil. It helped in reducing dandruff and hair fall. I am using this hair oil because it is fully natural. It has helped in improving the health of my locks, making them soft and silky. Great hair oil. It keeps the hair soft and moisturized. It is natural and gentle on the hair. This is a good hair oil. It helped reduce hair fall and dandruff. This is a good hair oil. It has made my hair soft and lustrous. My hair is slowly becoming thicker. I like this hair oil. It has helped in making my hair strong and reduced hair fall. This hair oil helps in taming my dry frizzy hair. It has helped in reducing hair fall and dandruff. My hair feels soft after applying this oil. It has helped reduce hair fall. This is superior quality hair oil. It does not contain mineral oil and other chemicals. The natural oil has helped in improving the texture of my hair and helped promote hair growth. Good hair oil. Keeps my hair soft and conditioned. It helped in strengthening the hair and reduced split ends and hair breakage. This is one of the best hair oils I’ve ever used. It helped reduce excess hair fall. I am noticing new hair growth. The texture of my hair has improved. Fully natural oil. It helped lessen hair fall. I selected this oil because it is fully natural. It is good product. It has made my hair soft and reduced hair fall. This hair oil keeps my hair soft, smooth and silky. It helped in promoting faster hair growth. Am losing fewer hair after using it. This hair oil keeps my hair soft and has been effective in reducing hair fall. It is fully natural! This is a really good hair oil. It does not contain mineral oil or any other chemical. Its fully natural. It has helped in improving the appearance of my hair. I use this hair oil several times a week. It is part of my nightly hair care routine. I leave it overnight and wash my hair in the morning. This has helped in boosting the appearance of my hair. This is good quality natural hair oil. It helped nourish my hair and improved hair growth. This hair oil is a blend of 7 natural oils. I found this oil very effective in boosting the health of my hair. My hair is now soft and smooth. Hair fall is now less and new hair is growing. This is good hair oil. Helped add sheen and made hair less dry. This hair oil keeps my hair smooth and adds sheen to the locks. It is helping in hair growth. This hair oil keeps my hair soft and lustrous. 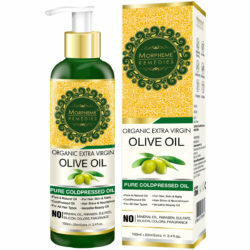 I found this to be top grade natural oil for hair care. This hair oil suits my hair very well. It moisturizes the hair without making it greasy. My hair looks lustrous and smooth. It helped reduce hair fall. I am using this as my regular hair oil. It is nourishing the hair and helped reduce hair fall. My hair looks smooth and lustrous. This hair oil perfectly suits my dry hair. It keeps the hair soft and helped reduce dandruff and hair fall. This hair oil is a blend of multiple natural oils. It added shine to my hair and reduced hair fall. This hair oil conditions my hair and improved its texture. 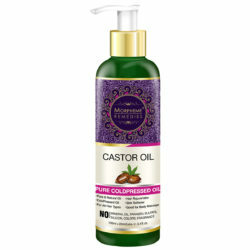 It helped reduce hair fall and keeps the ends moisturized. Good hair oil. Am using it for a week. It helped darken hair and keeps it soft and silky. Good oil for daily use. it helped reduce dandruff and hair fall. This is really good hair oil. My hair looks healthier and has become silkier. It is helping in hair growth. My hair has become better by using this oil. The texture has improved. Hair is now smooth. There is less hair breakage. 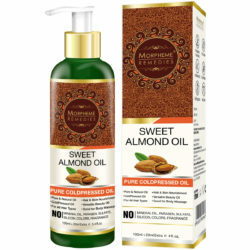 This oil is good for my hair.There is less hair fall and dandruff. With regular use, my hair has become soft and smooth. 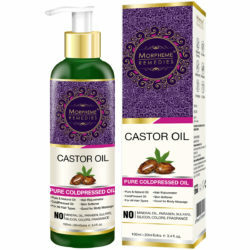 This hair oil is an excellent product for hair care. It helped boost the health of my hair. It has arrested excessive hair fall and is good for hair growth. This oil helped reduce hair fall. Keeps hair soft, smooth, silky and tangle and frizz free. I’m very satisfied with this oil. It has helped in improving the appearance of my hair. My dry and brittle hair has become smooth and strong. My hair has become soft and strong. A genuine product. I like this hair oil. It made my hair beautiful and shiny. I liked this hair oil. It properly conditions the hair. My hair looks good. I am using this as my regular hair oil. It tames the frizzes and keeps the hair smooth. Hair is now stronger and breakage is minimum. This oil keeps my hair soft and helped reduce excess hair fall. This works great for my hair. Helped strengthen hair and reduced dryness. Hair looks good. Good hair oil. Hydrates me hair. Leaves it soft and manageable. This is one of the best hair oils I’ve ever used. It is natural and safe for the hair. Moisturizes the hair and provides nourishment. In a short time it helped strengthen my hair and improved it. Excellent hair oil. Leaves hair smooth and tames the frizzy hair. Helped reduce hair fall. This hair oil is good for regular use. It is a natural product. This hair oil is good for taming the frizzy hair. My hair looks dark and smooth. Helped in decreasing hair fall. Good hair all. Keeps hair and scalp hydrated and healthy. It helped strengthen hair. A good hair oil. Helped strengthen the hair. My hair has become soft and manageable after using this oil. Hair health has improved after using this oil. There is less hair fall and split ends. Hair feels soft. Good hair oil. Nourishes the hair and keeps it soft. Excellent oil for hair care. It has helped in enhancing the health of my hair. It looks darker, smoother and lustrous. This is a blend of natural oils. I apply it before bedtime and leave it on overnight. After washing my hair in the morning, my hair looks great. Excellent oil for dry hair. I use it in the night and wash the hair in the morning. My hair has become strong and healthy and looks great. This oil is excellent for hair care. It helped in making my dry hair soft and manageable. Helped strengthen hair. I am using this hair oil for 2 weeks. It has significantly improved the texture of my hair. My hair now feels smooth. It helped get rid of frizzes and dryness. This is an amazing hair oil. In a short time it helped make my hair smooth, strong and manageable. Excellent for dry and dull hair. Good for moisturizing dry hair. It helped strengthen hair roots and reduced excess hair fall. Superb oil for my dry hair. Helped make my hair soft and smooth. Reduced split ends and excess hair fall. This hair oil has improved my hair health. Hair now feels soft and smooth. It helped make hair strong. There’s less hair fall. This hair oil combined some of the best oils and the result is amazing. I’m using it for several months and my hair has become strong, healthy and thick. A fantastic hair oil for promoting hair growth and strengthening hair. Hair feels soft and looks great! Directions: Apply oil on tip of your fingers and rub it gently on the base of your hair enabling it to penetrate in to the roots of your hair. Leave it overnight or for few hours. Wash with your regular Shampoo or prefer a natural shampoo. Your Hair will look sensational and shiny. RECOMMENDATIONS: Should be used on daily basis for best and noticeable results. Take a small amount of Morpheme 7 Ultra Hair Oils (3 to 4 drops) on the fingers. Rub the oil gently onto the scalp and the base of the hair roots. 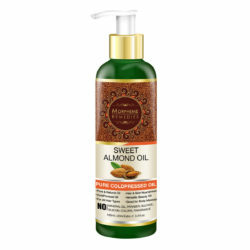 Use gentle, circular motions so as to allow the oil to penetrate deep into the hair shaft. Leave the oil on the hair for a few hours or preferably overnight. Wash it off with regular shampoo the next morning and condition with regular conditioner. For quick and desirable results, use 2 – 3 times in a week.